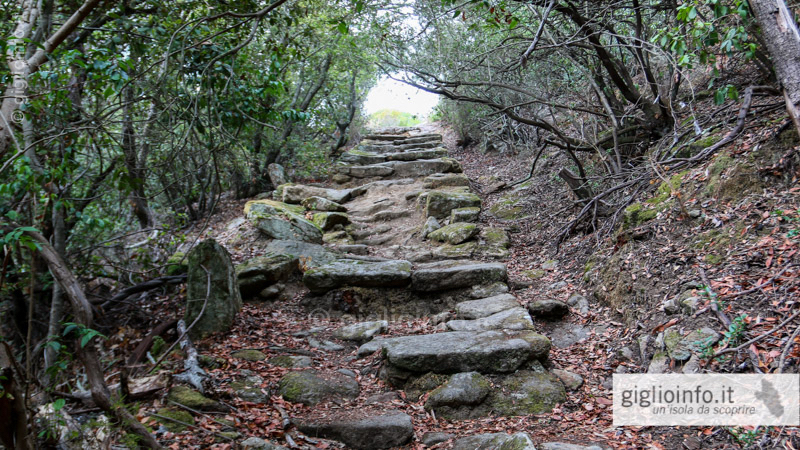 Trail no. 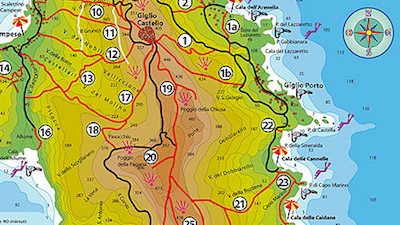 17 is also known as the "Way of Miners" who used it every day to work in the pyrite mine in the Allume Bay. 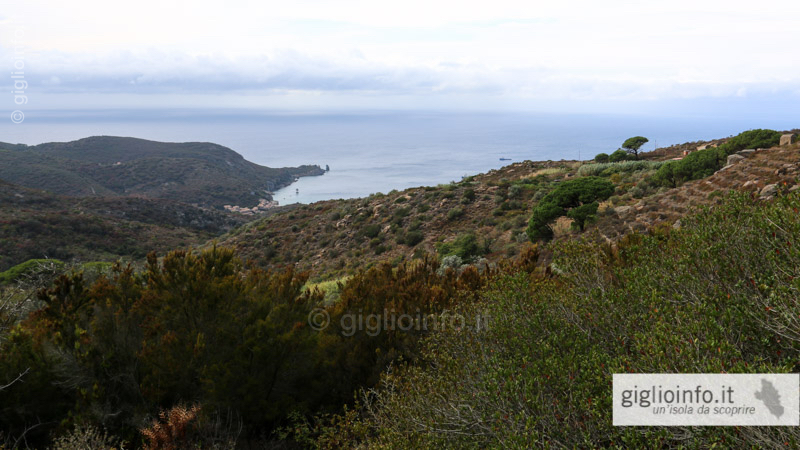 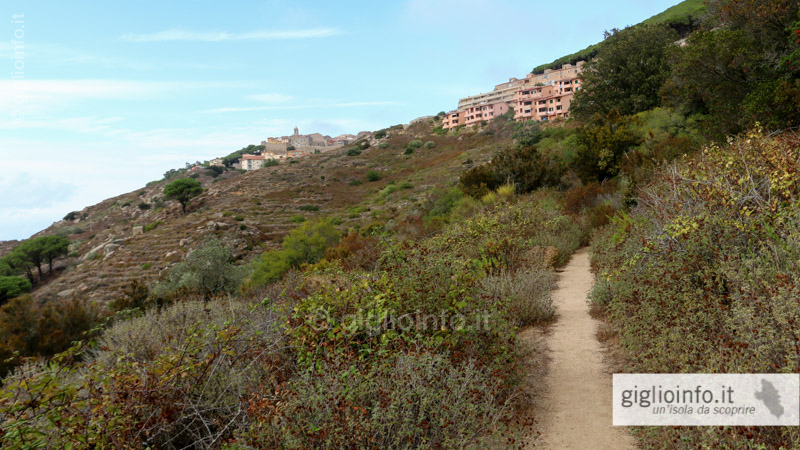 It is a partly shady alternative to go down from Giglio Castello to the beach of Campese. 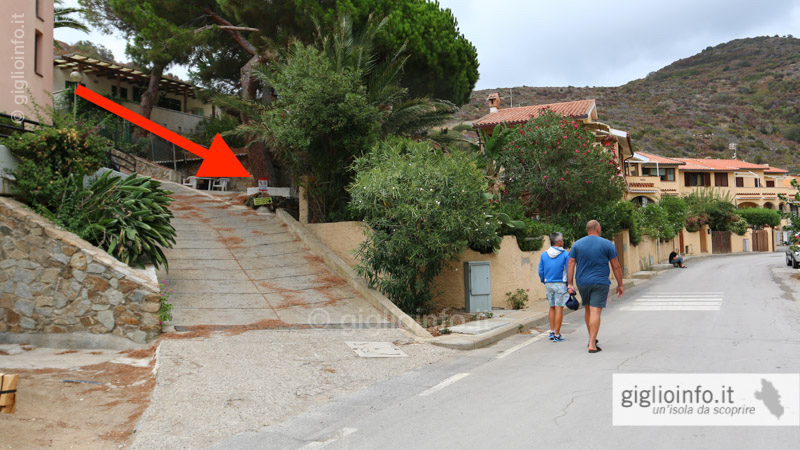 Our tour starts at the car park (former school) below Piazza Gloriosa, where you will also find the fountain Sorgente Acqua Selvaggia and the old washing facilities. 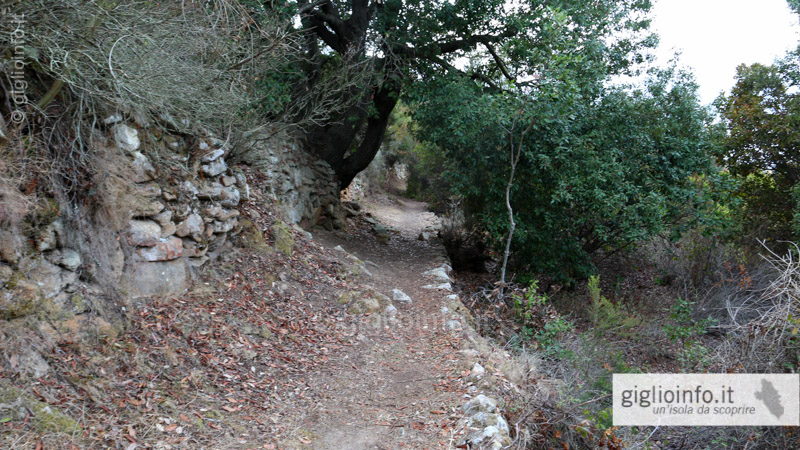 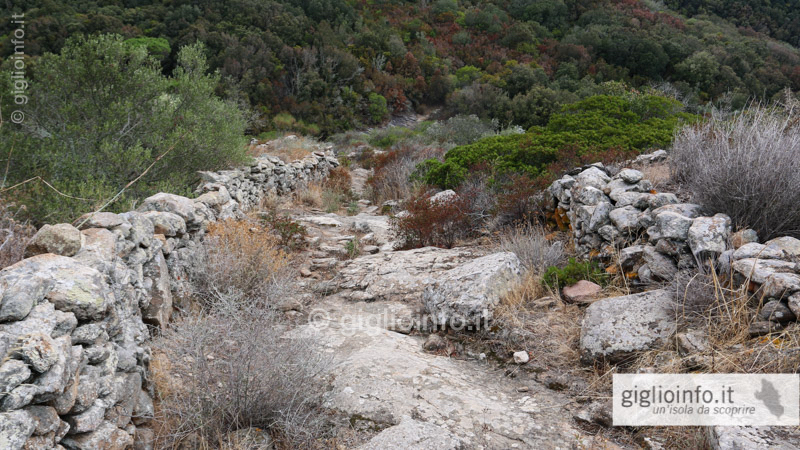 After passing the last houses, the path leads through old terraces and olive groves, before reaching the Valle del Molino. 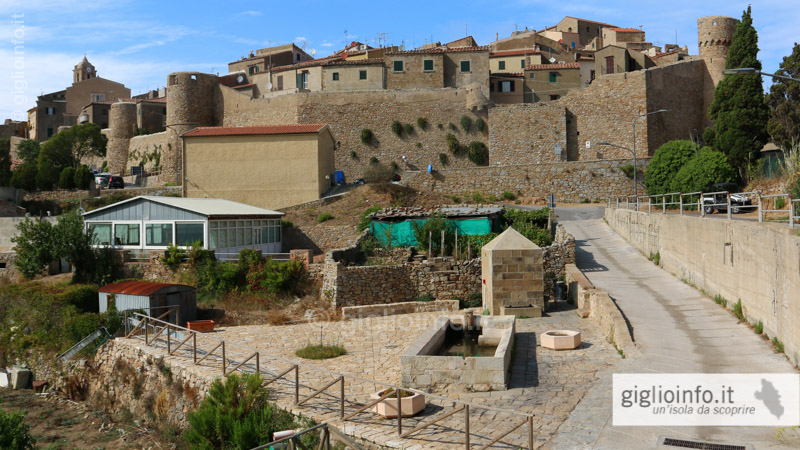 There you will find the so called Palmenti, small buildings that were used for grape picking. 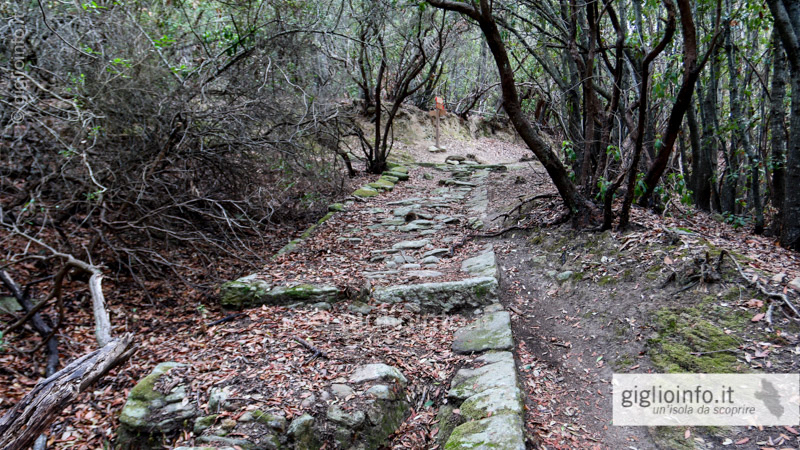 After the Valle del Molino, the path leads through a lecceta (evergreen meditteran deciduous forest). 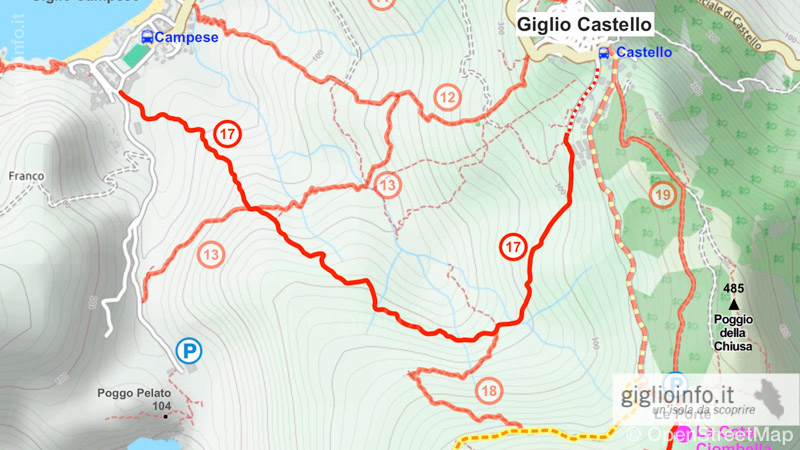 After about 2.3 km, at the end of the forest, the path crosses the connecting path n. 13, to reach the Allume (600m / 10 min) for trail 16. 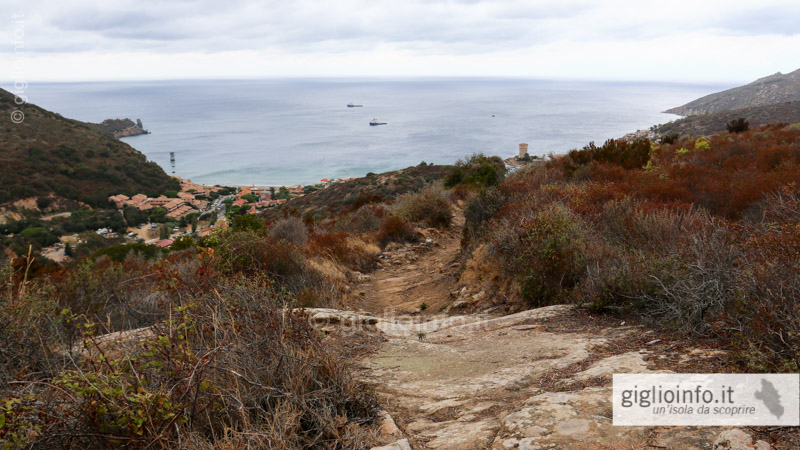 The last part of the way is quite steep and slightly slippery and you come out after the electric power plant at the Marina del Giglio.